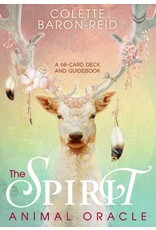 Internationally acclaimed spiritual teacher and best-selling author Colette Baron-Reid delivers a 68-card deck of interactive conversations with Spirit based on the archetypal energies of living beings that share our planet--helping us connect with them as sacred teachers, healers, and allies. 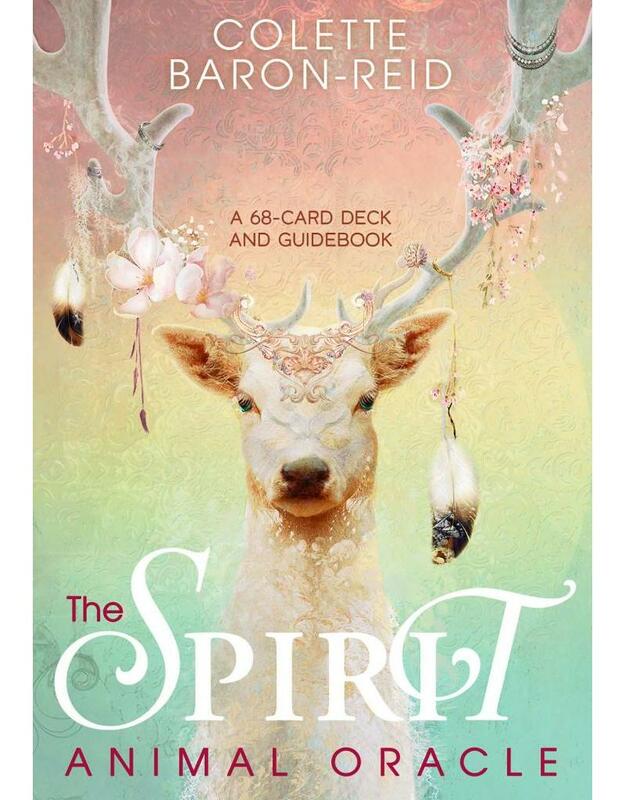 The spirits residing in the natural world have much to share, and the secrets of their forgotten language are now available to you through The Spirit Animal Oracle. They urge us to reclaim our essential Truth--that we are one in Spirit, connected to every living thing on this earth in a unified consciousness. With the draw of a card, you can share in this wisdom and better navigate your life, move beyond the obstacles of your perceived limitations, and tune in to your infinite potential. Represented in the 68 cards of this beautifully illustrated oracle card deck are the Higher Spirits of different animals, insects, fish, and birds. Every animal has a transcendent archetypal symbolism, a universal meaning holding a message of deep, enduring truth. With guidance from intuitive master and oracle expert Colette Baron-Reid, you can now awaken to your partnership with Spirit to co-create your reality in service to the world.